Fee: £1,500 10% Early Bird discount available for limited period. "David Mamet, in his book about directing, says that when directing a scene the director asks two questions: ‘What do I tell the actors?’ and ‘Where do I put the camera?’. When making a first cut the editor also asks two questions: ‘Which shot do I use for which line of dialogue/ piece of action?’ and ‘Where precisely do I place the transitions (cut, dissolve, fade, wipe) from each shot to the next?'" 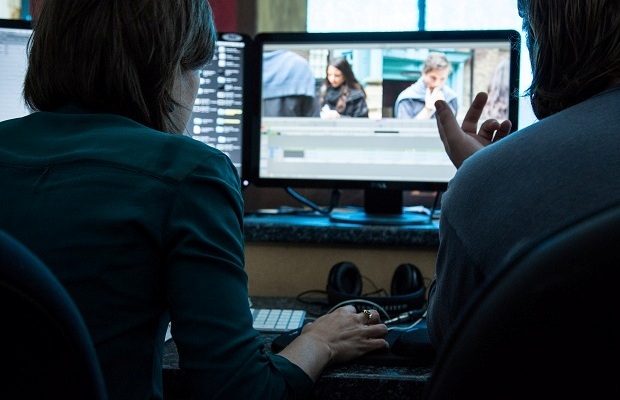 This intensive 8-day workshop is designed for editors who are already proficient in the use of AVID, but who have limited or no experience of drama editing. Barrie Vince (BAFTA-award winning editor of HILLSBOROUGH and long-time collaborator with Jerzy Skolimowski, Malcolm Mowbray et al.) will introduce the narrative and dramatic concepts which inform the appropriate selection of shot and where precisely to place the cut or other transition. The course will consist of editing both a short film and also editing from original rushes a scene from the Oscar-nominated movie THE FRENCH LIEUTENANT’S WOMAN; and two illustrated presentations. To develop an understanding of the dramatic principles which enable the editor to select appropriate material for a scene. To gain an understanding of the principles which guide the editor in the choice of exactly where to place the cut or other transition between one shot and the next. To learn how to prepare scripts, rushes selections, cutting orders etc. so that the editor is in full command of the material. Once the participants have completed their enrolment onto the course, they will be asked to complete the first exercise unsupervised, prior to the commencement of the course. Full instructions and film rushes will be made available to download. The final cut of the first exercise must be uploaded by a strict deadline and will be reviewed on the first day of the course. N.B: At this stage participants may use any editing software they can access from home. All files will be shared electronically via Dropbox and full instructions will be provided. Once at LFS participants will work from individual editing suites using AVID. Day 1: On the first day each participant’s first draft edit of their short film will be reviewed by Barrie. They will discuss in detail their preparation before editing, and the principles and criteria they used for their editing decisions. Day 2: Based on the previous day’s review and lecture, students will be expected to edit again the first exercise material, which will be reviewed again by the late afternoon or the next day. Day 3: The illustrated presentation ‘Dramatic Space in Mise en scene and Editing’ will lay out the concepts which enable the editor to select the appropriate angle for any dialogue or action. The session will include a detailed analysis of a complex, extensively covered scene from the feature GABRIEL AND ME. Days 4 – 7: The rushes of Scene 80 of THE FRENCH LIEUTENANT’S WOMAN are sufficiently complex to require using all of the concepts explored in Parts I & II of the workshop. Each participant will prepare with the shooting script of the film, and edit their own versions of the scene. Barrie will be available for consultation at all stages of each participant’s process. Over 4 days, each participant will develop their cut of Scene 80, and Barrie will debrief the final edits. The original will then be screened and discussed in relation to the participants’ versions. NB. It is imperative that participants DO NOT re-view the original film before joining this workshop. Day 8: Barrie Vince summarises the learning of the workshop, situating it in the workflow of the post-production process. The conclusion is arrived at through a consideration of David Mamet’s ideas on directing and filmmaking. We will aim to make our editing facilities available to participants until as late as possible each day. Exact timings will vary accordingly. "This course is a perfect balance of practical exercises, hearing from Barrie's vast range of experience and seeing carefully selected examples of editing techniques." "Barrie is excellent. He’s given me the tools I need to approach editing in a whole new way, i.e. the right one! It's been an experience I will always remember." "Excellent all round. Very good tutor, friendly and efficient school staff, and a good chance to meet others in the field." "Barrie is a wonderful teacher, I honestly cannot speak highly enough about him. The flexibility of the course was great, as we all had different needs but there were plenty of opportunities to pick Barrie's brain. I would recommend this workshop in a heartbeat." In parallel to a successful career as a fiction film and documentary editor spanning four decades, Barrie has helped develop the talent of many young editors through his teaching. He was appointed twice Head of Editing - first at the National Film and Television School and later in the same capacity he set up the editing department at the Norwegian Film School, when the school opened in 1998. He currently continues to work both as a Visiting Lecturer for several institutions in the UK and in Europe and he has also been a member of several Editing and Film Production Committees at BAFTA and at the Arts Council of Great Britain. I owe a huge debt to the film director Sidney Furie. In 1966, while we were editing THE NAKED RUNNER, he explained how decisions on how to cover a scene (and therefore how it should be cut) were made through analysing its dramatic structure. Over the next eight years this concept alone proved invaluable editing, for instance, NEGATIVES (Peter Medak), THE TRIPLE ECHO (Michael Apted), THE MOON AND THE SLEDGEHAMMER (Philip Trevelyan), THE OPIUM WARLORDS (Adrian Cowell) and, above all, the recently re-released (to considerable acclaim) DEEP END (Jerzy Skolimowski). In 1974 I was invited to join the NFTS, initially as Head of Editing and encouraged to return as often as I liked to filmmaking, an arrangement which enabled me to develop in both roles. In the next nineteen years I returned several times to the NFTS as General Tutor, First Year Co-ordinator etc. building up a compendium of concepts that support and articulate the craft of filmmaking. During this time I not only edited A PRIVATE FUNCTION (Malcolm Mobray), THE SHOUT and MOONLIGHTING (Skolimowski) but also co-wrote MOONLIGHTING, which won Best Script award at Cannes in 1982. I also directed FREEDOM TRAIN, a documentary for Central TV. In 1992 Paul Bamborough, the co-inventor of Lightworks, asked for my comments on a prototype and later that year I chose the system, which remains my digital weapon of choice, to edit RUNNING LATE (Udayan Prasad). Since 1993 I have continued to edit for Udayan and Malcolm, Simon Shore (GET REAL), Charles MacDougall (HILLSBOROUGH -for which I was awarded a BAFTA), Mike Grigsby (THE SCORE), Kim Longinotto (DIVORCE IRANIAN STYLE) et al. I have been a visiting tutor at the European Film College, the Metropolitan Film School, the Central Film School, the London Film Academy, the London Film School and the University of Westminster MA in Directing course. I run an editing workshop each year at the NFTS and every two years at the Cologne International Film School. This workshop exceeded my expectations. I came away with not only a new perspective on film editing, but a new found respect, excitement and energy for the craft. I would absolutely recommend it to others. Barrie has respect for his students as working professionals who are taking time out to learn something new. I still can't quite believe how much was packed into eight days! This course is a perfect balance of practical exercises, hearing from Barrie's vast range of experience and seeing carefully selected examples of editing techniques. I loved Barrie's workshop. It was worth every penny and it will be invaluable for me now as I go on to cut drama projects. The workshop was the best film tuition I have ever received - and is right up there with the best tuition I've ever received, full stop. Barrie's editing standards are so clear and strong, it was an absolute pleasure to be in his company for all that time. An excellent course and an excellent teacher. It all seems so obvious now. Barrie is a fantastic teacher who shows incredible generosity with sharing his experiences and career lessons. Analysing each other's cuts is so interesting and helpful. Application instructions will appear on this page as soon as new dates have been confirmed. In the meantime, please register your interest. At application you will be asked to submit your CV and a brief personal statement explaining why you're applying for the course, what you hope to gain from it etc.